This entry was posted on Monday, October 4th, 2010 at 5:00 am	and is filed under Choices, Family, Marriage, Psychobabble, Relationships. You can follow any responses to this entry through the RSS 2.0 feed. Both comments and pings are currently closed. It’s sometimes nice to be reminded of that independence. 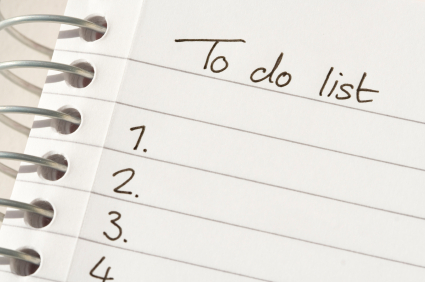 Reading your weekend list makes me feel very unproductive, though….I’m impressed. Anne – I tend to go in fits and starts. I was very productive this past weekend. And I have every intention of lying completely idle this coming weekend. It balances out in the long run. There is something to be said for having nothing to do but that which you want to do. I am definitely much more productive when hubby is gone for exactly the reasons you mention – we want to have fun, not do chores when we’re together. And, even when I am unmotivated, I still manage to cross a few things off. Glad you had a good time. I am with you, I am far more productive when my husband is away. It does seem backward because 4 hands seems more handy than two, but there’s the idea that the fewer engines in place means only one direction gets determined. Like you, when my husband is around, we find ourselves snuggled on the couch deliberating about things – even important things like bills – a lot longer than I would alone. And very few things compare that the luscious taste of a list accomplished.